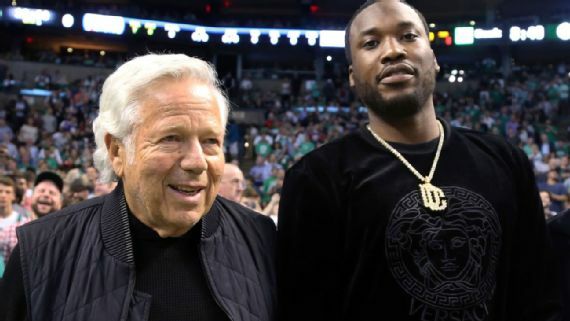 Rappers Meek Mill and Jay-Z have joined forces with the owners of the Philadelphia 76ers, Brooklyn Nets, and New England Patriots to create the Reform Alliance, an organization set to advocate for massive criminal justice reform in the United States. The Reform Alliance will lobby for changes to state probation and parole laws with a focus on updating outdated laws in order to get people out of the criminal justice system who no longer deserve to be there. Philadelphia 76ers co-owner Michael Rubin announced that the group is dedicating $50 million to the effort with the goal to "get 1 million people out of the criminal justice system." Meek Mill became a symbol and advocate for criminal justice reform last year after he was sentenced to two to four years in prison for minor violations of his probation conditions in a decade-old gun and drug possession case. He spent months in prison before a court ordered his release. Rubin added on Twitter, "After witnessing the injustices that took place with @meekmill - it was a complete wake up call. It’s time to change a broken system starting TODAY. Proud to be on this team! #Reform#FightDifferent"
Van Jones, a CNN host and activist who served as an adviser to former President Barack Obama, will lead the new effort as CEO. The group is ready to change not only policies but also hearts and minds along the way. Said Robert Kraft, Patriots owner, "We can make America better if we really cure this problem."